In this PBS documentary, Bill Moyer interviews James K. Galbraith (son of John Kenneth Galbraith) and Richard Brookhiser (senior editor of the National Review) about the state of the U.S. economy during 2009. This DVD shows how much distrust Americans have for bankers. Demonstrators protest Wall Street’s excessive bonuses, paid for by trillions of taxpayer dollars, while regular people face foreclosures and rising bank fees for credit cards, debit card transactions, and checking accounts. The Wall Street protests are reminiscent of the public reaction to the stock market crash on October 29, 1929, which caused the Great Depression. Investigative journalist, Bill Moyer, in this PBS documentary, interviews economist James K. Galbraith who is the son of the legendary John Kenneth Galbraith, about the state of the U.S. economy. James K. Galbraith discusses his new book, which has the premise that both conservatives and liberals should abandon the concept of a free market system. Bill Moyer recites an excerpt from a speech given by Franklin Delano Roosevelt while he was president of the United States, which states that every adult person in America has a right to a job, a home, food, clothing, medical care, retirement benefits, and some recreation. Galbraith and Moyer agree those goals are valid and we still need to work towards achieving them. He talks with Richard Brookhiser, who is the senior editor of the National Review about his mentor William F. Buckley, Jr. and the status of the conservatives that is covered in Brookhiser's new book. Bill Moyer finishes the show with an essay that asks politicians and citizens to understand the truth of what it costs to be fighting a war in Afghanistan. He asks whether it is now time to end that war. This television show was originally broadcast on October 30, 2009, which was the 80th year anniversary of the crash of 1929. 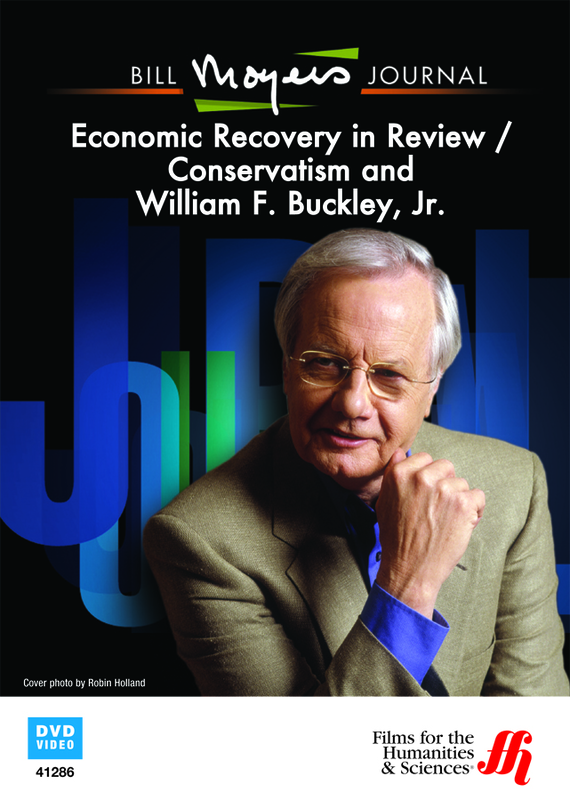 Bill Moyers Journal: Economic Recovery in Review / Conservatism and William F. Buckley, Jr.